Could dry needling be the answer to your aches and pains? You may have heard this technique been bought up by friends and family who have suffered from tight muscles, strains and other injury to muscles. But is it right for you? 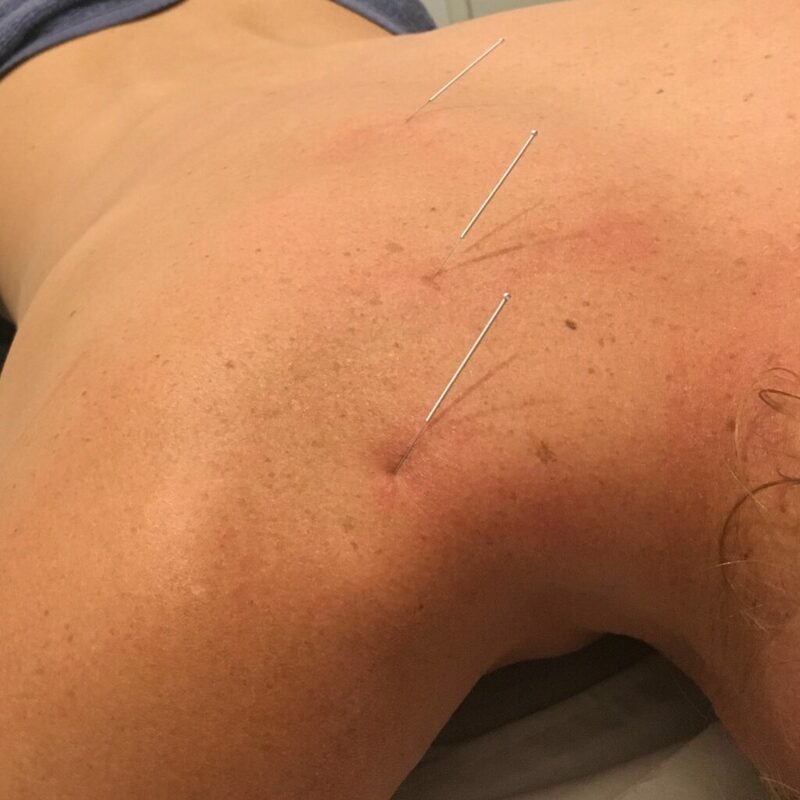 Dry needling is a technique using sterile, single use, fine point needles (acupuncture needles) to target myo-fascial trigger points: tight bands or ‘knots’ in your muscles. Practitioners with this skill will insert each of the needles into the skin and into a targeted muscle where there is an active trigger point, tight band or tender point. So, what can you expect during dry needling? Because of the nature of a trigger point and the fact that they have a predictable pain referral pattern, you too may find you pain shifts into different sections of your back, neck, arms or legs. Yes, we think bodies are amazing too! This isn’t something to be alarmed at, just let your practitioner know. When the needle is inserted into a target muscle it may be sharp to start with, but should reduce in intensity. Some people don’t even feel it at all and others describe it like a corky or how a dead arm feels. But why would I find dry needling helpful? Dry needling may help your muscles to relax. Dry needling may promote blood flow to the effected muscle and may effectively act as a reset button for a tight, bound up muscle. The improved blood flow to the area may also help to remove toxins built up within the muscles and tissues. This may also assist to relieve pain. Dry needling may also effect on our neurotransmitters: our chemical signallers. By changing the information that our pain receptions receive, this may make dry needling less painful than a deep tissue massage and means it may be more suitable to those with really sensitive muscles and tissues and may be part the reason you feel less pain after a treatment. All of these positive muscle and tissue changes, may also lead to changes in how your joints feels and your range of movement. Think dry needling is for you? Dry needling may positively influence acute and chronic pain. Dry needling can be used as a part of an effective treatment plan to help manage symptoms like sore shoulders, back and neck pain, headaches, plantar fasciitis, tennis or golfers elbow, sciatica, achilles tendinopathies and the list goes on! 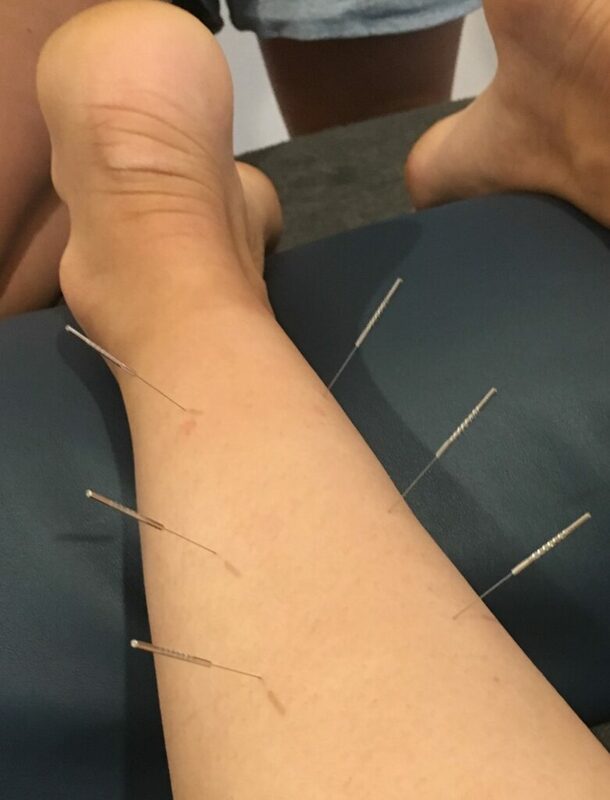 If you find needles give them the creeps; that’s OK, dry needling may not be for you and your practitioner has many other skills up their sleeves to help you aches and pains. But if you find that you’re struggling to get your muscles to relax, well it may be just the technique to try! 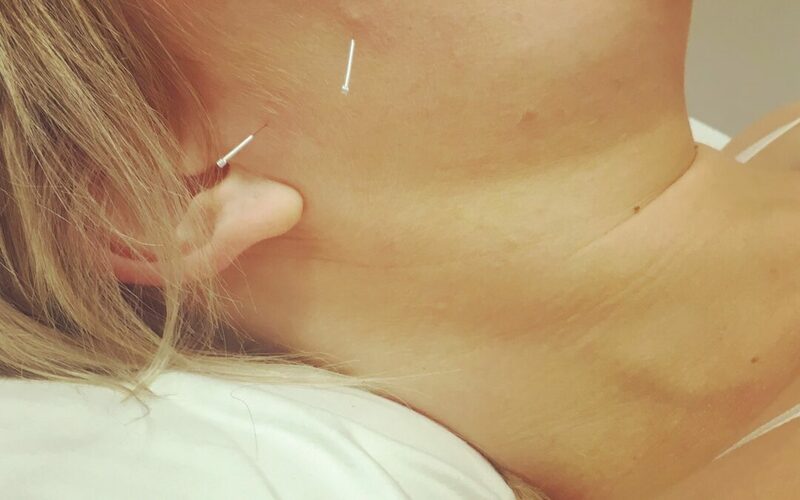 Call (03 5251 5724) or book an appointment online with a practitioner to see the benefits of dry needling today!